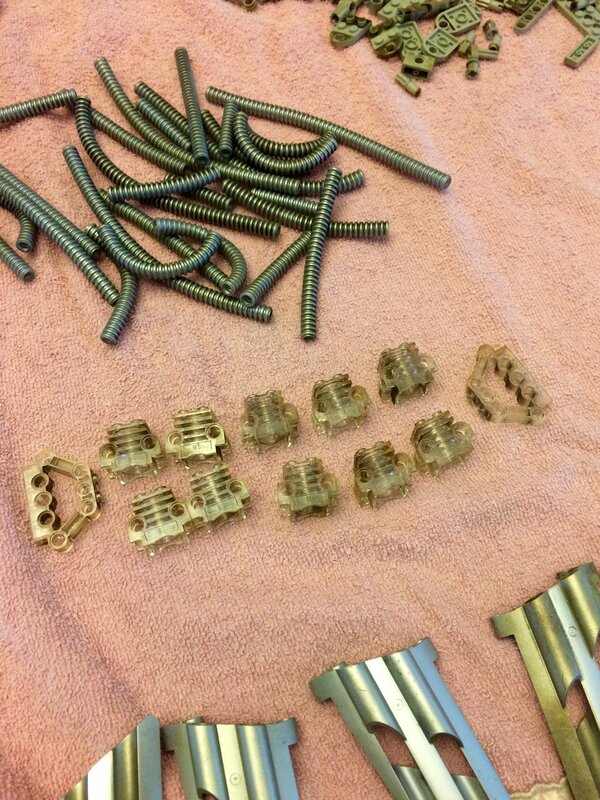 Refinishing Lego parts for a Silver Champion #8458. I recently picked up a Silver Champion http://brickset.com/sets/8458-1/Silver-Champion that has seen better days. I'm guessing this model was either kept as a display in a smokey bar or pool-hall, or was on display in a serious smokers home and then locked away in a damp storage area. When I got the model, I wore gloves to break it apart and then disinfected the parts, soaked them and washed the parts thoroughly, 3 times. 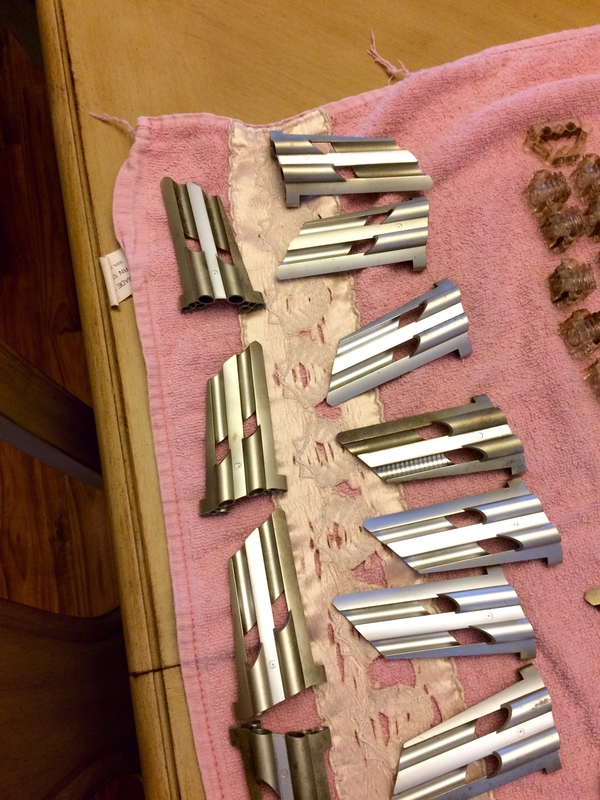 The grey parts are all mostly discolored and stained, same as the clear engine parts. 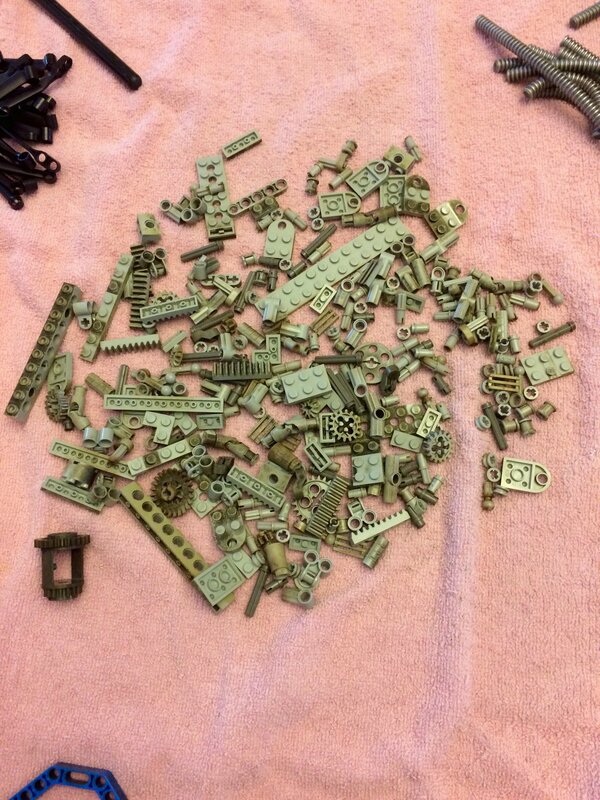 I was able to get a few new replacement parts from Lego parts, but I want to get some tips and how to's on refinishing or repainting the light colored parts. Any and all help is appreciated. Thanks. 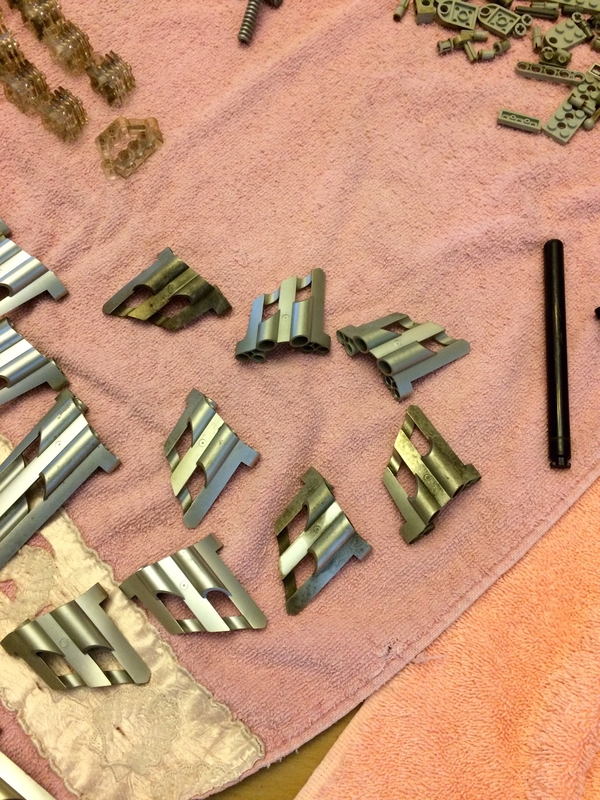 There are several articles out there about using oxi-clean to take off the outermost layer of the parts. Thanks for the tips. I've attached a couple pictures of what I'm dealing with, and these are after I cleaned them up a few times. 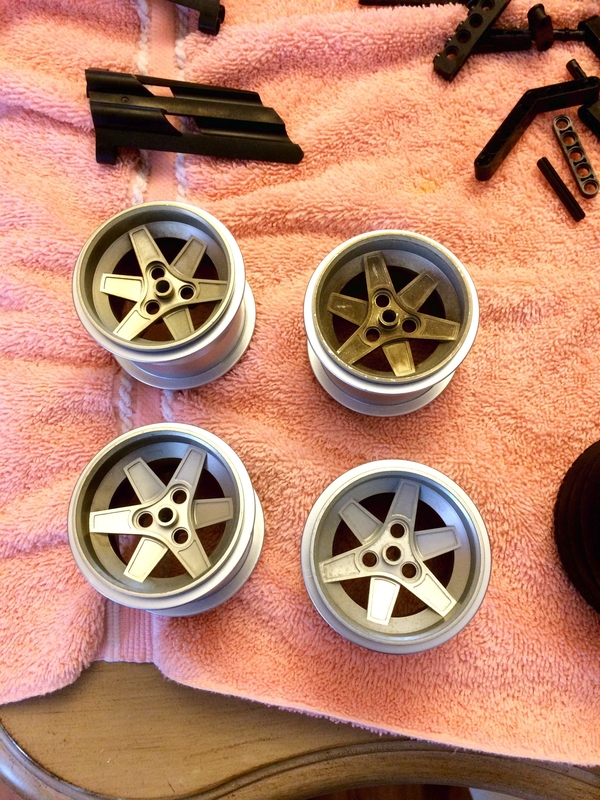 Maybe painting them with a vinyl dye would be a better option. I would definitely try oxi, then. I'm not sure if the silver parts are painted or chromed (I don't think they are), but whatever option you take, I do not advise painting under any circumstances.